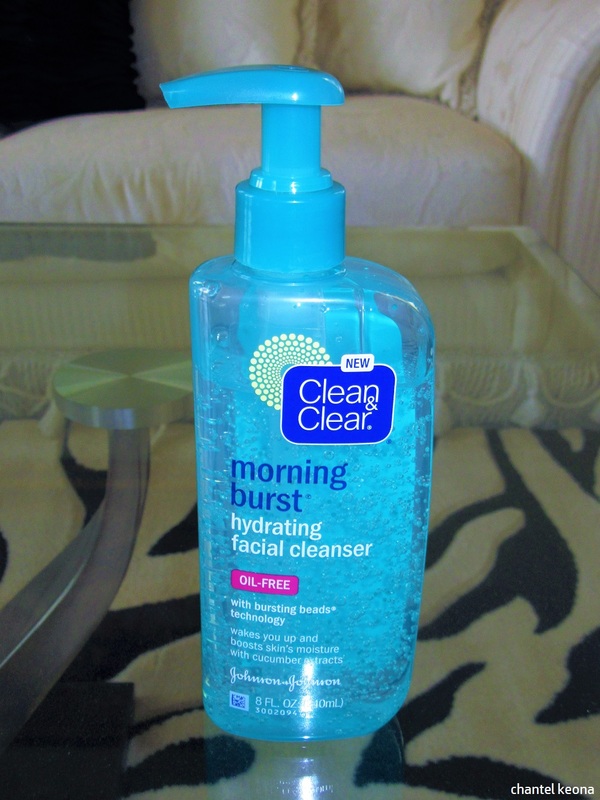 Description: From the energizing Morning Burst Collection comes Clean & Clear Morning Burst Hydrating Facial Cleanser. Wake your skin up with this invigorating foaming cleanser uniquely formulated with bursting beads technology. It’s formulated with water, not oil, and contains a unique blend of cucumber and green mango extracts. Get a deep clean while refreshing your skin with an added touch of moisture. Won’t clog pores. Rinse thoroughly then, pat your fabulous face dry with a towel. I purchased this facial cleanser from my local Walmart a couple of months ago and I have been using it faithfully every morning ever since I purchased it. I’m a huge Clean & Clear fan, I think they have some amazing products for my skin type. I have extremely oily skin and this face wash works wonders on my skin. Not only does it smell amazing but it lathers up really well and you do not need to use a lot of product. I love how my skin feels after I’ve used this and I have noticed that my skin also clearing up especially on my cheeks. I honestly have no complaints about this product. I will definitely repurchase this and I recommend this to all of you. Have you tried this face wash before? Let me know in the comments. I’ve heard great things about their face wash but i’ve Never tried it!